Kittilä is a municipality of Finland and a popular holiday resort.It is located in northern Finland north of the Arctic Circle within the Lapland region. Start off your visit on the 11th (Sat): look for gifts at Elan Ski Shop & Rental, then experience rural life at Ounaskievari Reindeer Farm, and then take an exotic tour of a safari tour. For reviews, photos, traveler tips, and more tourist information, use the Kittila trip itinerary site . Manchester, UK to Kittila is an approximately 9.5-hour flight. You can also drive. The time zone changes from Greenwich Mean Time (GMT) to Eastern European Time (EET), which is usually a 2 hour difference. Traveling from Manchester in May, expect Kittila to be slightly colder, temps between 11°C and 1°C. 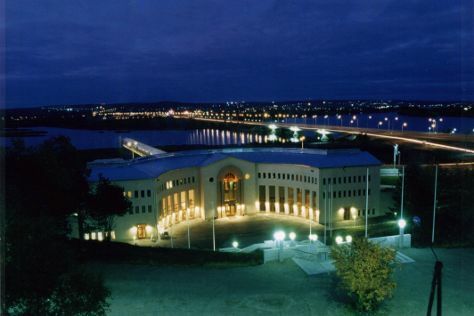 Finish your sightseeing early on the 11th (Sat) so you can drive to Rovaniemi. Kick off your visit on the 12th (Sun): identify plant and animal life at Wildlife Areas, then see Santa Claus Office, then stroll the grounds of German Soldier s Cemetery, and finally take an in-depth tour of Arktikum. For ratings, other places to visit, more things to do, and other tourist information, go to the Rovaniemi driving holiday planner . Drive from Kittila to Rovaniemi in 2 hours. Alternatively, you can take a bus. In May, daytime highs in Rovaniemi are 12°C, while nighttime lows are 3°C. Wrap up your sightseeing on the 12th (Sun) early enough to travel back home.